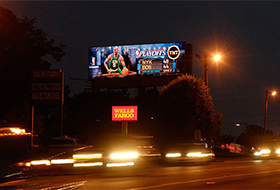 Lamar Advertising Company is donating space on its digital billboards to showcase classic designs from Charlotte-based artist Matt Stevens. Stevens’ iconic illustrations of Nike’s Air Max shoe (MAX100 Project) will run on Lamar's digital billboards nationwide starting on March 26, the same day that Nike released the Air Max shoe back in 1987. Nike Air Max illustration from the MAX100 Project running on one of Lamar's digital billboards. 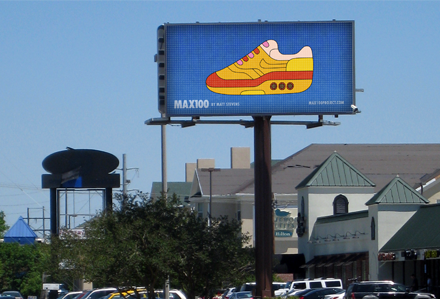 Over 35 illustrations from the MAX100 Project will rotate on Lamar's digital billboards through April 16, 2014. Lamar Advertising Company (Nasdaq: LAMR), a leading owner and operator of outdoor advertising and logo sign displays, today announced that its wholly owned subsidiary, Lamar Media Corp. (“Lamar Media”), intends to redeem in full all $400,000,000 in aggregate principal amount of its 7 7/8% Senior Subordinated Notes due 2018 (CUSIP No. 513075AY7) (the “Notes”).